Israeli desecration of Islam’s third holiest site continued for a second day. Soldiers and police attacked Al Aqsa Mosque worshippers, terrorizing them – on the phony pretext of conducting a security operation, to let Zionist zealots enter where they don’t belong. A longstanding agreement with the Islamic trust in charge of Al-Aqsa permits Jewish prayer only at the neighboring Western Wall, the Second Temple’s last remnant. Israeli authorities systematically breach all agreements it makes. Heavily protected extremist settlers are escorted into Al-Aqsa’s compound regularly, ignoring Palestinian and overall Arab street anger. It decides who enters or leaves Islam’s third holiest site. Anyone challenging its authority is brutalized, including Islamic Endowment personnel in charge of administering and maintaining the compound. Two days of clashes left scores of Palestinians injured, including 11 journalists covering the incident, nearly two dozen requiring hospitalization. A Palestinian Journalists Syndicate statement denounced Israeli brutality, saying soldiers and police stormed Al-Aqsa, deliberately assaulting Palestinian worshipers and journalists. 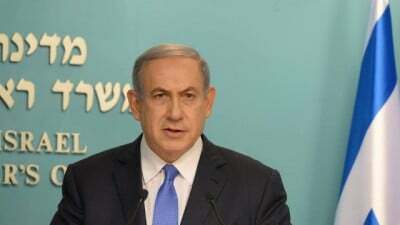 Netanyahu issued a duplicitous statement, saying Israel will “maintain (Al-Aqsa compound) status quo and order. It is our responsibility and our power to act against rioters to allow freedom of worship at this holy place” – excluding Muslims when extremist Jews wish to enter where they don’t belong. Zionist zealots want a new Jewish temple replacing Al-Aqsa. A Knesset measure proposed dividing the compound into Jewish and Islamic sectors. Muslims worldwide denounce both schemes. Palestinians justifiably resist Israeli ruthlessness. Outrage is palpable. Children and youths throw stones – a symbolic act of resistance. On Monday, Netanyahu said he’ll hold an emergency Tuesday evening meeting to discuss “the war on stone throwing and fire bombs in Jerusalem and its vicinity” – ignoring why Palestinian rage erupts, responding to longstanding Israeli state terror. He “intends to fight the phenomenon with all means, including harsher penalties and enforcement,” his office said. Israel calls legitimate Palestinian resistance and self-defense “terrorism,” including symbolic stone-throwing. Knesset legislation already mandates up to 10-year sentences for defendants not accused of intending to cause harm – otherwise, up to 20 years imprisonment. Up to five years for anyone ‘interfer(ing) with the policeman’s performance of his duties or to prevent him from performing them.” How much stiffening of these draconian measures Netanyahu and his racist ministers have in mind remains to be seen. On Monday, an Israeli driver died in a Jerusalem car crash. Two passengers were injured. Netanyahu is using the incident to enforce greater harshness than already on longtime persecuted Palestinians – citing a police report suggesting stone-throwing caused him to swerve, with no verifiable evidence proving it. On average, Israel experiences near daily car accident fatalities. Blaming Palestinians for Sunday’s incident gives Netanyahu a convenient excuse to further brutalize millions of defenseless people.